Many did not know what would happen at this show. Not everyone believed that young musicians will be able to perform classical compositions of the band. But the single "Waiting for a sign" recorded with Ronnie Romero gave hope for success. At the concert, from the very first notes of the opening song "Spotlight Kid", a familiar vocal is heard. But no, it's not Ronnie James Dio and not Joe Lynn Turner. Romero appeared on the stage. His voice reminded something of the middle between them - and the audience liked it, the audience began to applaud loudly. Ronnie tried very hard to impress the audience - it became clear why Blackmore had been looking for a vocalist for so long. However, the next song "I surrender" Ronnie failed - he performed it not very melodic. The musicians performed not only the songs of Rainbow, but also the repertoire of Deep Purple, which pleased many. At first Ritchie was too focused on the instrument and looked slightly sociopathic. It seemed as if he had not held a guitar in his hands for a long time. But after "Perfect Strangers" Blackmore revived and even communicated with the audience. Then came the rhythmic "Difficult To Cure", during which Ritchie together with the audience performed "Kalinka". And during the solo of keyboardist Jens Johansson, the song of "Pesenka Krokodila Geny" sounded to all. A special response from the fans was needed in "All Night Long". The crowd rejoiced: someone started jumping, someone danced, and some continued to sing when the group finished playing. Romero was pleased and supported the initiative. "All Night Long!" - shouted the musician into the microphone, "All Night Long!" - came in response from the audience: the new singer definitely managed to arrange a crowd for himself. After another portion of Deep Purple, the long-awaited Long Live Rock N Roll was played. But either because of unsuccessful sound settings, or according to the ideas of the musicians, it sounded unusual: the bass interrupted the guitar, and the vocals swallowed with the beginning of each line. 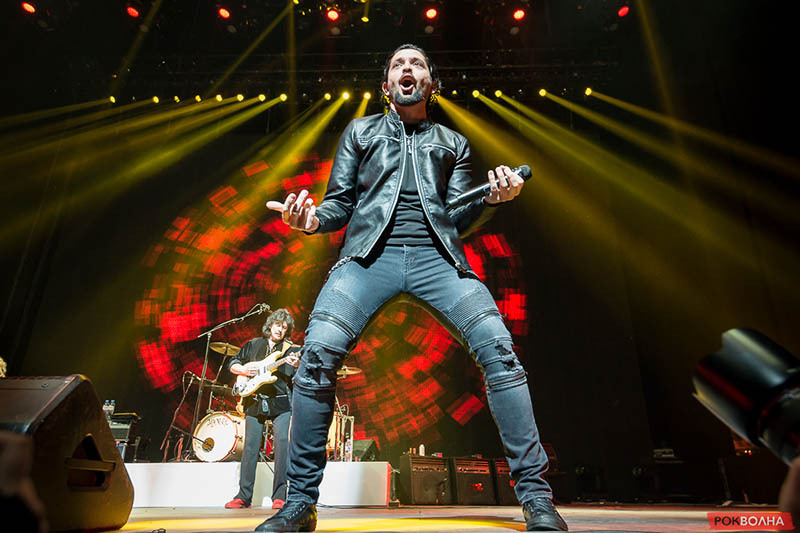 Perhaps the band has not yet managed to play together, because Moscow is just the beginning of the tour "Memories on Rock 2018". The traditional drum solo of talented drummer David Keith was very successful. The final of the concert was two classic songs of Deep Purple: "Black Night" and "Smoke On The Water". At that moment, the audience almost turned into performers, as if trying to outshout Ronnie, who had been fond of this evening. They did not so much want to get into the text, how many just feel part of what is happening. The musicians were impressed - the lines "We ended up at the Grand Hotel, It was empty cold and bare" were heard from the stage a second time. The audience was so delighted with this that they continued to hum the melody after the band left the stage. Despite some shortcomings, the whole concert was uniquely successful. And some fans are already looking forward to the return of Rainbow to Russia. A magnificent Rainbow performed on the stage of Olympic SC with the program "Memories in Rock 2018". Fans have been waiting for this historic event for a long time and specially arrived early to take good places in the hall. 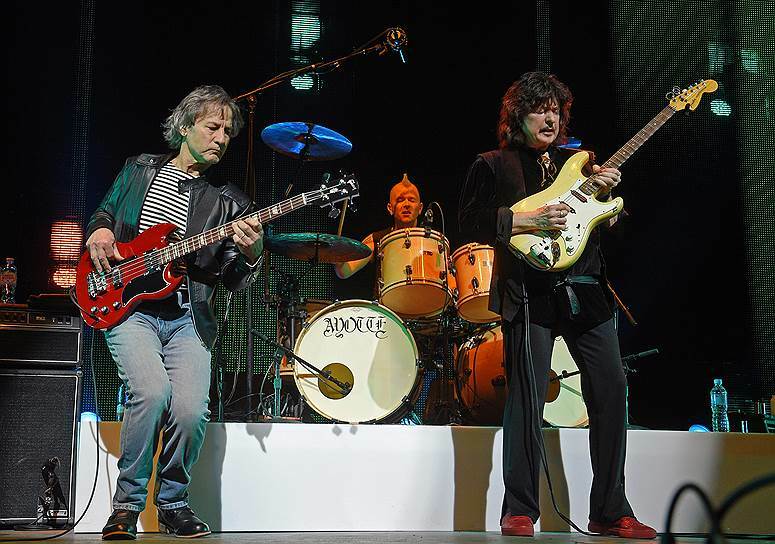 Going on tour, Ritchie told stressed: "the upcoming performances of Rainbow is not a revival, but a tribute to the past and almost the final chord in his career as a hard rock guitarist." Reminding the world how he knows how to play rock, Blackmore planned soon to return to his favorite music of the Renaissance and soft folklore motifs. The concert here was an absolute sold-out, there was not a single free place on the tribune! The group of support "Compass Mauri", whose soloist Maria Prismakova performed for the legendary rockers, thanked them for the wonderful opportunity to perform on the Olympic scene with the legendary "Rainbow". The beautiful and soft music of the band "Compass Mauri" really could warm the hearts of Rainbow fans before the start of their idols. When the perpetrators of the celebration appeared on the scene, the audience immediately burst into applause, fans sang their favorite songs. Fans know how often Ritchie changed singers of the band, but Ronnie Romero has already conquered many fans of Rainbow. Looking at Ritchie Blackmore do not think about his age, all the thoughts are only that this is really one of the best guitarists of all time. In his hands, the Fender Stratocaster has turned into something more than just a guitar. The Rainbow songs and the iconic compositions of Deep Purple sounded from the stage, and the audience knew the words of all the songs perfectly. It was not without surprises - the song "Child in Time" was played, which Deep Purple does not play anymore. Emotions from the last concert of the fans will last for a long time. Let's hope that it was not the last visit of Ritchie Blackmore to Moscow! 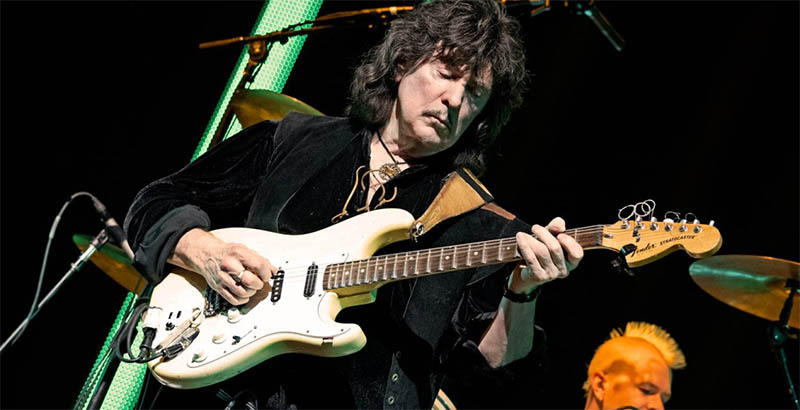 After more than 20 years, Mr. Blackmore decided to get out of the tranquil atmosphere of folk and chamber concerts: the maestro missed the heavy guitar riffs that once formed the history of world rock music and collected stadiums. Two years ago the Rainbow reunion took place. 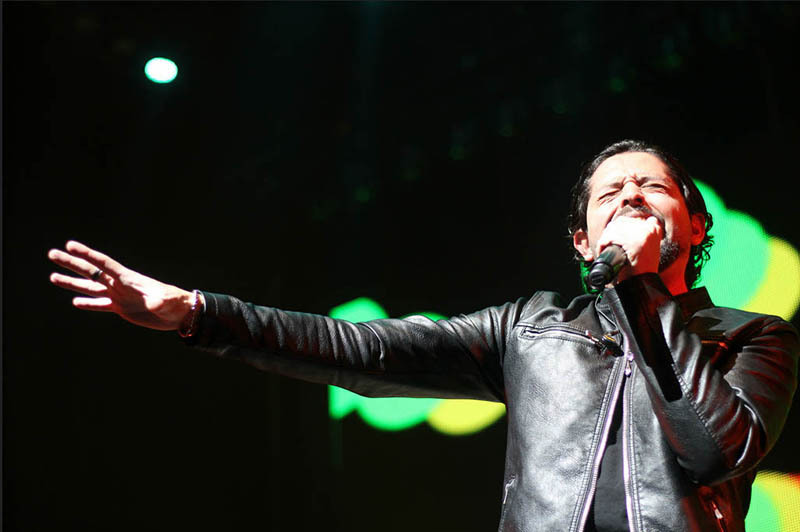 With the inherent attention to the choice of musicians, Ritchie took a serious and unexpected step - the new voice of the legendary band was the young Chilean vocalist Ronnie Romero; Jens Johansson came for the keys from a large family of long-haired metal. This is where the experiments ended. The bass and drums were taken by colleagues from Blackmore's Night Bob Nouveau and David Keith. Did Blackmore again revive the Rainbow? We learned about this at the 8th April concert in the "Olympic". Even today, Ritchie did not want to part with his favorite folk, so the support band chosen by him is "Compass Mauri". Pleasant, sometimes playful tune, sonorous tambourine, charming flute and pure soprano - in the stands of the sports complex the calls for heavy rock are lost, but the fans are even more confused by the intro: Rainbow appear under a romantic ballad, the completion of which is the noise of the "Olympic". "Toto, I've got a feeling we're not in Kansas anymore," Blackmore comes out of the wings in the purple light of the projectors and knocks in front of the audience on one knee. "We must be over the rainbow!". A small instrumental introduction - Ronnie takes a microphone stand in his hands; the first chords of "Spotlight Kid" - Ritchie Blackmore's Rainbow on stage. Romero's voice is strong and loud, with a "fatal" hoarseness, capable of any manipulation: like Dio the singer performs "Stargazer", in the manner of Bonnet sings "All Night Long", no worse than Gillan pulls "Child in Time" - in this he get support of Candice Knight and Lady Lynn on backing vocals. Ronnie enters into a roll call with the "Olympic"; the audience is lost from the unexpected and does not immediately pick up his initiative. Every musician shows himself: here is the energetic Bob Nouveau during "Man on the Silver Mountain", who sings an impressive "I find a woman, a pretty woman", then in Russian with a strong accent adds: "A beautiful Russian girl", which leads the hall in delight. "Woman from Tokyo" sounds for a few minutes. Next - another track from the repertoire of Deep Purple "Perfect Strangers", and the bass player again breaks the ovation with the performance of the people's "Kalinka". Pianist-virtuoso Jens Johansson, lit by the yellow sun of the searchlights, plays selflessly and passionately, interrupting "Difficult to Cure", alternating rhythms from calm to incredibly fast. In the piano storm suddenly familiar wove the song "Pesenka Krokodila Geny". If David Keith could perform the Russian anthem, he would do it without hesitation. Powerful blows of the drum solo are reflected from the walls of the "Olympic" and the last of them continues "Still I'm Sad". Ronnie modestly departs to the right corner of the stage. At this moment the searchlight catches Blackmore - he is serious and focused on the game. Ritchie does not depart from Kit's installation, from time to time he throws a few words to the musicians, gives instructions to Romero (how did the maestro endure his short hair?). The great guitar player no longer needs to try to attract attention with shocking antics and running around: thousands of eyes watch every movement when he just stands still. The guitar in Ritchie's hands turns into something more than just an instrument. When he plays, time seems to stop, and the whole world concentrates in the strains of strings, which once heard live can never be forgotten. While the most enterprising winners get their twists without waiting in line, the historic riff "Smoke on the Water", performed by its creator, rattles in the hall. 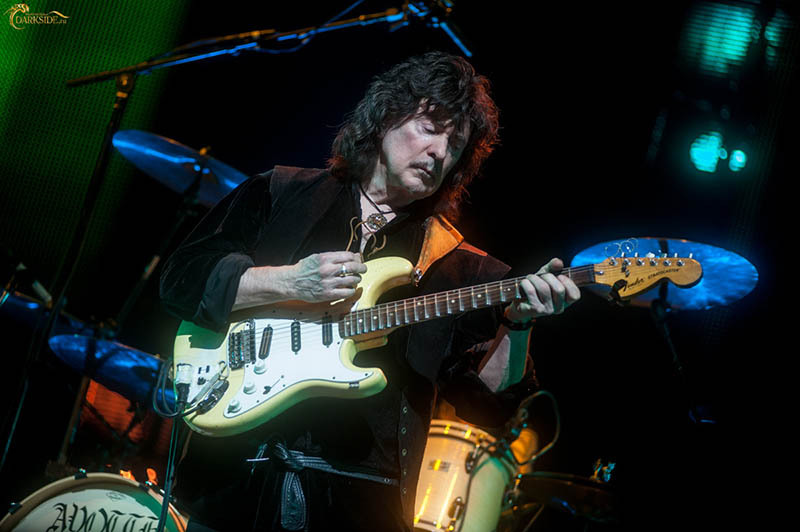 At the end of the performance, the majestic and calm Blackmore is struck by a sudden action: he lies on the edge of the stage and extends his hands to the first rows of the fan zone. They say that they are really Rich, but they are just rumors. 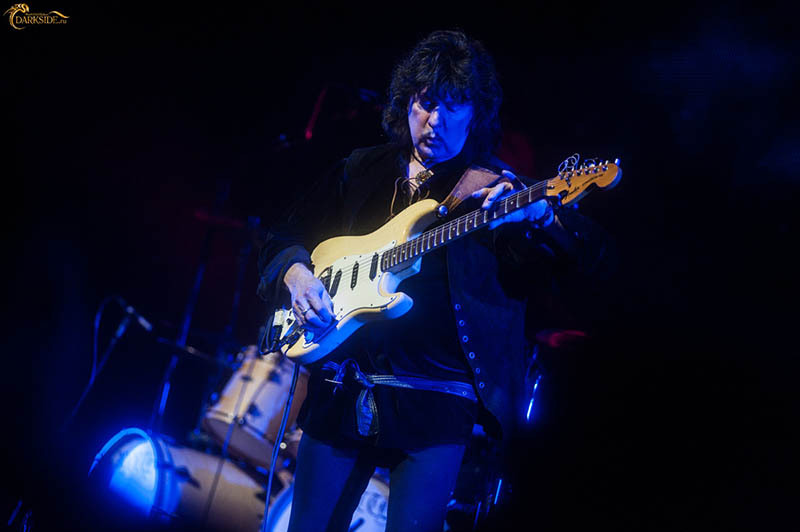 Ritchie Blackmore's Rainbow gave the first in 2018 a concert at the Olimpiisky Sports Complex in Moscow. Boris Barabanov found a direct analogy between the repertoire of Rainbow and music from Soviet cartoons. The legendary guitarist Ritchie Blackmore refused for many years to reunite with Deep Purple and if he appeared on stage, it was only with Blackmore's Night folk project. 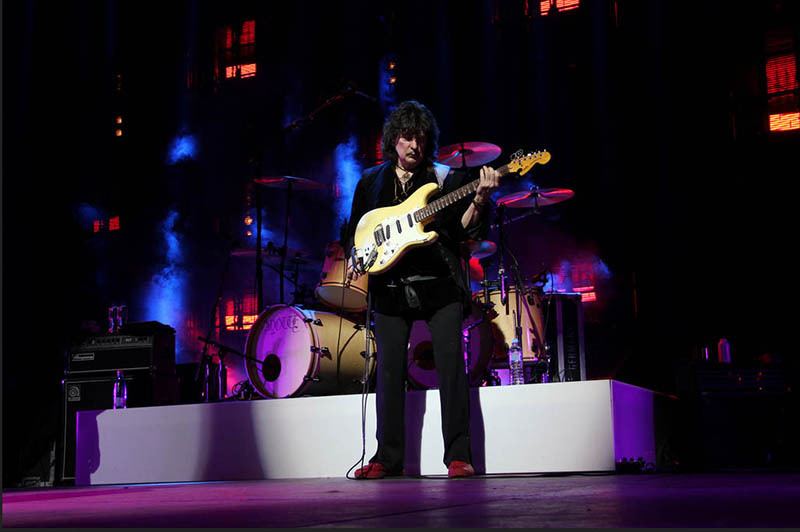 At Blackmore's Night concerts in Russia, fans habitually demanded "Smoke on the Water", but it seems that they themselves did not believe that Ritchie Blackmore could return to hard rock in any form. By exchanging the eighth decade, the virtuoso surrendered and reformed his second group - Rainbow. In Rainbow, there were keyboardists Don Airey and Tony Carey, drummers Cozy Powell and Bobby Rondinelli, bassists Roger Glover and Bob Daisley, and behind the microphone were Joe Lynn Turner, Graham Bonnet and Ronnie James Dio. Rainbow is the pantheon of the gods of hard rock. However, in this new band of Ritchie, Blackmore did not see any of the classics back in the band. Keyboards are played by Jens Johansson from the Finnish power metal band Stratovarius. Behind the drums was the musician Blackmore's Night David Keith. The bass guitar is in the hands of a session multi-instrumentalist named Bob Noueau. Fans have long discussed the story of the invitation to Rainbow of Glenn Hughes, bass player and vocalist of one of the line-ups of Deep Purple. Blackmore was interested but only as a bass player, Hughes also wanted to perform vocal parts. It never happened. The vocal parts were assigned to a young Chilean named Ronnie Romero, known mainly to the Spanish public for work in the local band Lords of Black. 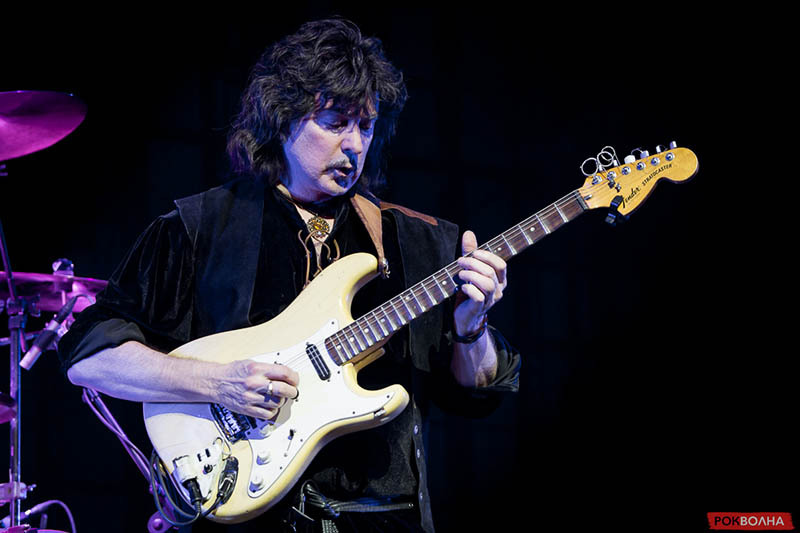 Abandoning the services of old friends, Ritchie Blackmore still prepared a surprise for the fans, which surpassed their wildest expectations. In addition to Rainbow hits, he included Deep Purple hit numbers from different periods: from "Lazy" of the album "Machine Head" (1972) to "Perfect Strangers" from the 1984 disc of the same name. A separate gift was the song "Child in Time" from the album "In Rock" (1970), which was long ago expelled from its repertoire by Deep Purple. The frontman of the band, Ian Gillan, probably would not have taken half the notes from the central vocal of the song today. Ronnie Romero is coping with them. Thus, Ritchie Blackmore got a pretty convincing band, able to reliably reproduce the famous numbers. The guitarist was well aware that one perspective to hear the riff "Smoke on the Water" performed by the author is already enough for people to buy tickets for concerts. However, long tours Ritchie Blackmore decided for Rainbow not to arrange, it is limited to a few concerts a year. 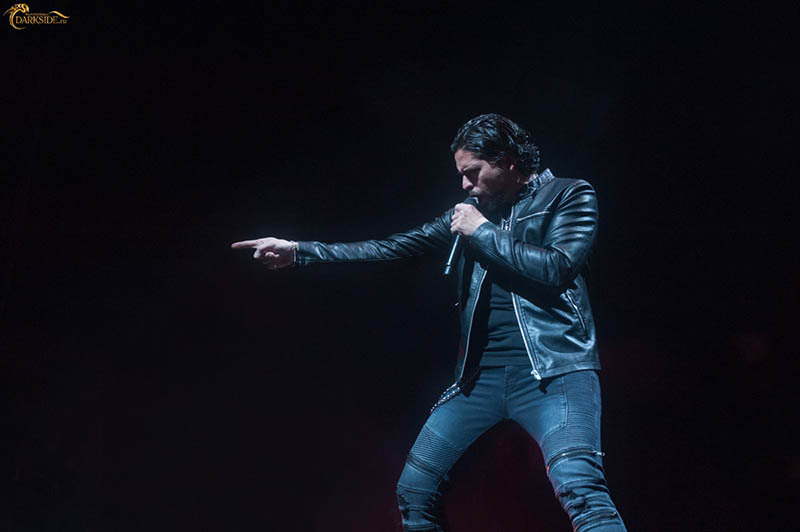 The Rainbow stage in Moscow was not equipped with screens with large artists plans, so from the rostrum of the "Olympic" Ronnie Romero looked like a typical Latin American pop singer - that and look to tighten the "Despacito". Not possessing impressive rock and roll charisma, he nevertheless ensured the main thing - he gave a qualitative message to the parties of Ian Gillan ("Woman from Tokyo", "Perfect Strangers", "Child in Time", "Smoke on the Water"), David Coverdale ("Mistreated", "Burn"), Ronnie James Dio ("Man on the Silver Mountain", "Stargazer", "Long Live Rock'n'Roll") and Graham Bonnet ("Since You Been Gone"). Speech, of course, is not about the magic inherent in each of the singers, in different years realized in tandem with Blackmore. But Ronnie Romero did enough to make a collective hard rock karaoke in the Olympic walls from the singing of the Russians did not tremble, one of the neighbors of the correspondent of Kommersant on the podium said: "It's only for the elections that we are walking together". Nevertheless, all these dyspersic gentlemen of pre-retirement age have definitely felt the historical importance of the event. To strengthen the already inextricable link with the Russian audience, Ritchie Blackmore decided with the help of Russian music. Within the framework of the instrumental issue - "Ode to Joy" by Ludwig van Beethoven - the bass player Rainbow sang in the chorus "Kalinka", and the keyboard player played a song of "Pesenka Krokodila Geny". Last year Rainbow played "Soldier of Fortune" of Deep Purple - a song that takes in the subconscious of domestic rock fans about the same place as "Let them run awkwardly ...". The culprit of the celebration behaved the same as at the concerts of Blackmore's Night, only spoke even less. Minimal movement on the stage, all attention to the strings, no communication with the audience. In those rare moments when the guitarist wanted to react to the emotions of a standing orchestra, he took out a piece of paper, on which it was understood, was written "Thank you". He played the whole concert on one guitar - the legendary white Fender Stratocaster. He practically did not use any sound processing effects - everything that sounded came literally out of his fingers. Until the end of the evening the sound engineers did not manage to achieve a comfortable balance between voice and guitar. A picky listener could, in general, note some negligence in the work of the group. But it seems that no one here was going to surprise the viewer. Both sides - both artists and spectators - knew the rules of the game and generally got what they came for. We will begin another approach and also from afar, before finally plunging into the embrace of the beautiful. Blackmore's unexpected decision to put aside the acoustic guitar aside and suddenly return to the electric side with "that same white strataster" generated not one thousand rumors and assumptions about what the modern Rainbow should be like - and this was the first mistake in the way of perceiving the renewed activity of the collective, after all, all of them broke about the names of the present line-up, which, in turn, gave birth to more than one hundred discussions, where did these people come from, and gave Ritchie a million of advices about who "really needed to be taken, and not, all of this." For the preparation for the meeting with his idol, a kind of warming up by the kind of Compass Mauri was clearly a pleasant form in all respects and perhaps even excellent, just ask those who were at the Olympic, and in return you will hardly be given the name of the group, but the beverage fortress in the forty area will be called from a dozen ... Therefore, we will not focus on them - they fulfilled their function, and for this they are very thankful to the people, let's move on to what for Sunday in the "Olympic" gathered thousands in different states of people. Ritchie often started Blackmore's Night concerts with almost no delays, therefore the fifteen-minute pause was more unexpected than expected, well, to hell with the lyrics - here he goes, with a guitar, and even gets on his knee and weighs up a kind of curtsyens - uuuh! During the instrumental introtape, the others are following on stage, and the show starts off with a bright "Spotlight Kid", although stop - which show? Show costumes from different eras or the contest "Choose the most ridiculously dressed rock musician?" And with regret we have to say that there would not be much to look at the appearance, the music of the one behind it - alas, the single screen in the old school showed such cheap nonsense for almost two hours that you hardly wanted to look at it, and what then remains to be seen is not the bassist's vest or the only decent looking Ronnie Romero who, though somehow tried to match the importance and status the clarity of the band. And if the subsequent "I Surrender" passed tolerably, then the scale of the complete discrepancy between the number of people gathered and the quality of the performance made itself felt already on "Mistreated" - well, where, where, I ask you, this inverting riff, where this primitive, you turn into a bandergologist during a session with the therapist Kaa? "Somewhere out there, in the past ..." - the echo answered, and it was, however bitter to admit it, right. And it is doubly sad that the keys in the final mix paid more attention than the vocals of Ronnie, which became, in fact, the only bright spot of this evening and literally pulling out "All Night Long" and "Stargazer", at least bringing them closer to what they painted waiting in absentia. But even he could not cope with the slowed down "Burn", which turned into such a performance in the post-rocker allowance for sleep on their "show." Was it any wonder that at the end of it a lot of people were drawn to the exit without even thinking of encore - believe me, not all of them were from a series of random ones, someone just ran out of patience.